Should We Underestimate the Contribution of a CIA? Get more insights regarding the career prospects as a CIA and contribution done by a CIA in an organization. 2008 was the year when the financial community woke up to a rude shock. Lehman Brothers declared themselves as bankrupt. The other financial giants like Merril Lynch, AIG, Freddie Mac, HBOS, Royal Bank of Scotland and such prestigious names were to follow the suit. Fortunately for them, they were rescued out of the financial doldrums in the nick of time. The question arose as to what was the cause of such a disaster? Some financial ‘forensic’ experts started to dissect this complexity and discovered that a part failure of such financial institutes could also be attributed to a ‘weak internal auditing team’ that was to make sure that the running of the finances in the company was up and robust. What came to light was light revealed a much more complex and systemic series of failures by the auditing team. That brings us to a debate as to whether the role of a CIA should be taken for granted or should a CIA too equally bear the burden of success or failures with high responsibility. "Internal auditing is an independent, objective assurance and consulting activity designed to add value and improve an organization's operations. It helps an organization accomplish its objectives by bringing a systematic, disciplined approach to evaluate and improve the effectiveness of risk management, control, and governance processes." Review an organization's business processes on an objective basis. Defend the company against any fraud and theft of assets. Assessing the effectiveness of risk management procedures. Improve internal controls and governance processes by providing recommendations. Compliance with relevant laws and statutes by the organization should be ensured. For whom are Internal Auditing Procedures useful? All publicly traded companies are required to conduct internal audits on a periodic basis as stated by the Securities Exchange Commission. The New York Stock Exchange (NYSE) has also reinstated this fact in their Listed Company Manual, which mentions that if a company offers to sell shares to the general public, regular audits and assessments must be conducted to assess their internal controls. In small businesses, there is no need to conduct audits within their businesses. Nevertheless, many companies employ auditors in an effort to improve their business processes and procedures. They are responsible for establishing corporate policies and procedures, enacting mergers and taking steps to expand business operations. This tier consists of financial controllers headed by a Chief Audit Executive (CAE). The CAE acts as a mediator between the board and its managers. The team ensures that the Board's directives and policies are compliant with the law and help in boosting the efficiency and productivity of the business. If the board’s directives do not generate business, and simultaneously if the staff refuses to follow the directives given by the Board, the internal auditor has a duty to report back to the board with the findings and its solutions. They are people appointed for carrying out the day to day operations that are directive as per the board policies. So what is the scope of a Certified Internal Auditor? 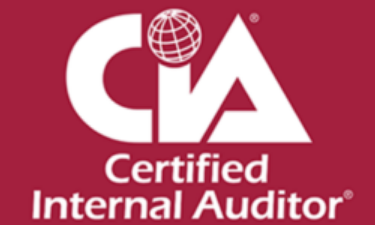 The basic function of a CIA in an internal auditing department is to accumulate any and every information that can be scrutinized and converted into valuable strategies which can be beneficial to the organization. Nothing is as crucial for a CIA to observe as a target of the business. An auditor has to be inquisitive about the management strategies and ask questions to the board related to the effectiveness of the current internal controls. Collecting information and evidence forms an essential part on a CIA in an Internal Auditing process which could thus be analyzed and reported back to the board of directors with suggestions for improvement if necessary and make sure that the management incorporates these suggestions to accomplish a task successfully. A CIA’s job becomes even more challenging if red tape bureaucracy and company politics prove a hindrance to the internal auditing department from performing its job as intended. This results in the company not receiving the benefits that are associated with an honest internal audit such as increased efficiency and productivity, decreased waste, financial savings, and legal compliance. So, to undermine the role of a CIA would be grossly unfair as a CIA is a crucial bridge between the board members who strategize the vision-mission of the company to the management who undertake the day to day operations to achieve and fulfill the tasks assigned by the board of directors. A CIA should have a bird’s eye view of both sides in order to achieve a booming and expanding business coupled with profits. So, I hope this article has generated a fair amount of interest in you as a reader. The scopes mentioned afore are just a tip of the iceberg. Do you want to know more about this exciting career? There is one place where they strive to educate young minds to steer their auditing career quicker than others. Concorde Academics gives you a deep insight on the course with strategically breaking down syllabus so that you are not lost or confused about how about to start out in the field of auditing. Do not wait any longer! Join Concorde Academics now. How can Indian Accounting students Pursue CPA US? Concorde has now expanded its service spectrum, to accommodate other products and training programs. We conduct in-house trainings, workshops and seminars in IFRS, US-GAAP, SOX for corporate and BPOs. 606, B Wing, Neelyog Square, R.B.Mehta Road, Opp.Ghatkopar Railway Station. Ghatkopar (E), Mumbai 400 077.